In Ireland, my Dad began getting increasingly desperate and irate at not being able to find the tent pegs. Which were in his shirt pocket. In Church Knowle, my sister indulged in blackcurrant cheesecake a bit too much and let's say was put off it for a long time! When leaving our Key Camp holiday in Brittany our camping neighbours had a good chuckle as we started driving away without closing the boot of the white Citroen. Sing-song instructions which include "threading it (the tent post) through!" and often being told off for getting in the tent whilst it is barely up, but it served well as a den. Having to move our fully erected tent once other family members decided the other side of the field was much better in Salcombe Regis. With same said family members, we were never able to leave the campsite by the usually early designated time. Even if we were ready to go, we would be helping the slow effort of packing up. In Carlyon Bay in Cornwall, baby Lily did not want to sleep in her travel cot and preferred sleeping in with us; on a double airbed which then succumbed to a puncture. We heard whispered grumblings about her crying the next morning. In Node's Point, the Isle of Wight, Lily would wake up rather early in our ready tent and begin playing with the pots and pans before an early morning walk by the beach. 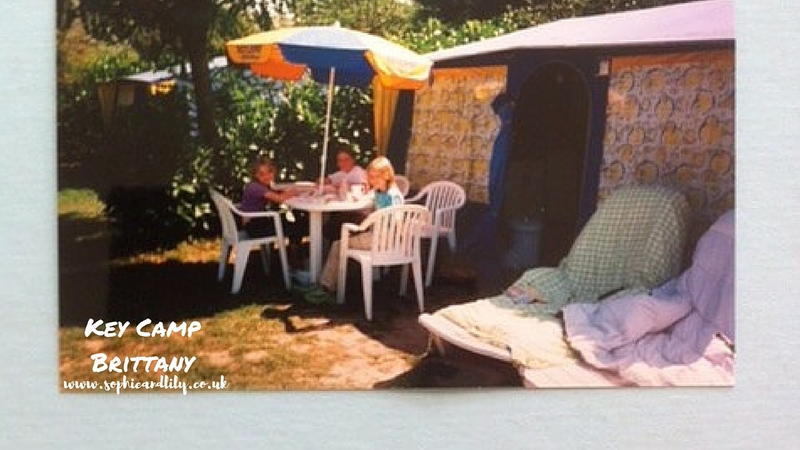 These are actually all fond memories and I am glad that at least one of my children have experienced camping at some of the same destinations I have camped at from the time before becoming a parent. Alexander has yet to go camping and our third baby is due in December, so I expect it will be a while until we bring out the tent again or even buy a bigger tent. I will definitely be investing in a great big airbed though as our second one mysteriously lost its valve plug rendering it useless. I've recently read the Halford's Camping Guide which I was sent, which brought all these memories and more back to me. We try to camp as simply as possible to avoid the need for a roof box on our car, but with small children it is easy to overpack to prepare ourselves for any eventuality or weather - especially in the UK! It is absolutely very important to pack warmer clothes for yourselves and children to wear, particularly for cooler summer evenings and it could help everyone sleep better too. Insect repellent is also really useful; a stick or a spray is easy to apply, or burning a citronella candle in the evening outside away from children's reach could work. Of course, always use a camping gas stove outside of the tent as carbon monoxide is a silent killer, especially in a poorly ventilated tent. 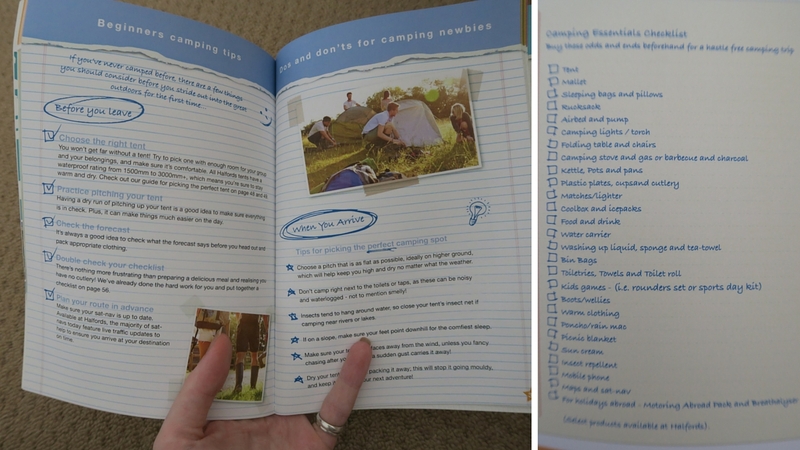 If you are a list-lover, like me, you will really appreciate the handy camping checklist in the Halford's Camping Guide. More handy advice can be read in the Camping Guide on the Halford's website. Sponsored post: all opinions are my own.